Flying Colors Pierce County Has A New Face. Hey Pierce County, you have you met Katie? This spring Flying Colors Painting Co. promoted Katie Tobin to be the Pierce County Area Manager. If you are looking for a painter in Dupont, Lakewood, Tacoma, University Place or anywhere in between, Flying Colors has you covered. Katie is not new to the Flying Colors family. She has started painting with us in 2007. Katie loves bringing out the character and beauty of a home. She had an opportunity to put her skills on display recently as she headed up the exterior restoration of the Winstanley House, a historic 1910 craftsman. This beautiful restoration required special attention to detail and a lengthy process of preparation involving handling lead abatement. Katie and the award winning Flying Colors Painting Co. team is ready to address any of your painting needs. From interior painting to cabinet refinishing to exterior painting, we have you covered! Katie is no stranger to historic homes. 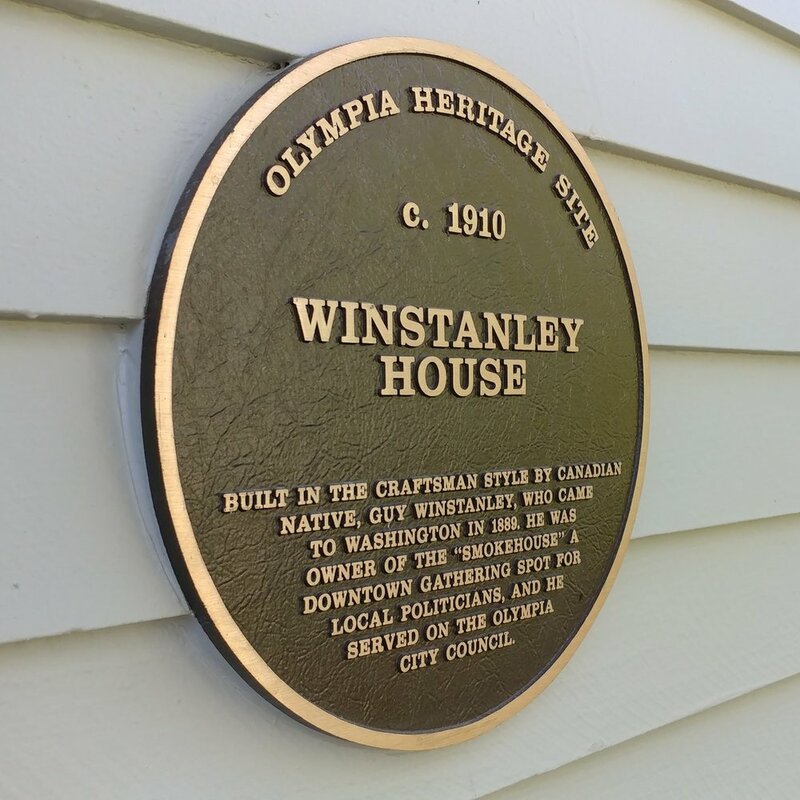 In the summer of 2017 Katie was trusted with painting the 1910 Winstanley Historic Registry Home. How long have you been in the trades? I’ve been in construction since I was born. I grew up flipping houses with my parents - I lived in 5 different homes before I left for college. Child memories included tearing down wall paper, destroying brick walls, cleaning out basements and yard work! That hard work ethic carried me through college and into the present day. When did you start working for FCPC? I started working for Flying Colors my first summer living in the great PNW - 2007. That summer I started as a helper and was lucky enough to become a full-time employee that year - where I experienced my first interior season. What are your favorite kinds of houses to paint? I love painting craftsmen and Victorians. I love multiple accents, multiple body colors. . . The whole kit and caboodle! The more intricate the better. When and why did you start painting? My first season painting was when I was 17, going into my senior year of high school. I wanted a job that was physical and, most importantly, outside so I could work on my tan. I would put lemon juice in my hair because my dad said it would help my hair turn blond but all I got out of that were bees being attracted to me. Oh how things have changed as I go through bottles of sunscreen every summer and almost always wear a hat! Katie and the Flying Colors team have got you covered. What do you love about living in the Pacific Northwest? I love lots of things about the NW but if I had to name one thing it would be the climate. Being an East coast transplant, I absolutely love the fact that it barely ever snows here and how temperate it is year-round. I love the long summer days and, on the opposite side, the short winter days. I feel they both serve a purpose - summer serve as a time to "get stuff done" and winter to "hunker down". What are common misconceptions homeowners have? I would say the most common is the amount of time it takes to prep a house properly. A paint job is only as good as the work done on it before the paint goes on. It is not uncommon to spend as much or more time protecting a house as actually painting it.